Today, the Holy Orthodox Church throughout the world, commemorates the 618 Bishops, who convened at the 4th Ecumenical Council. This is but one, of the 7 Ecumenical Councils of the undivided Christian Church, all held in and around Constantinople. These 7 Councils collectively, have given us the true interpretation of the Dogmas, or Beliefs, as contained in the Holy Scriptures, and thereby have secured for all time the complete unity of our Christian Orthodox Faith, over the past 2000 some years. Through these Ecumenical Councils, we have the true definition of the Dogmas by the Holy Fathers, based on the teachings of the Holy Scriptures and Holy Tradition, and proved without a doubt, that the Holy Spirit, as promised by our Lord Jesus, was and is, the overseer of the Church, and thereby renders the Church infallible. Please note, that only the Church convening in an Ecumenical Council is infallible. The Patriarch is not infallible, nor is any Bishop of the Christian Church infallible. But the Church, blessed and guided by the Holy Spirit is infallible. This infallibility, because of the overseeing by the Holy Spirit, is the reason, that there is completeunity in the Christian Orthodox Church, even though, there are 15 distinct autocephalous Churches comprising it. 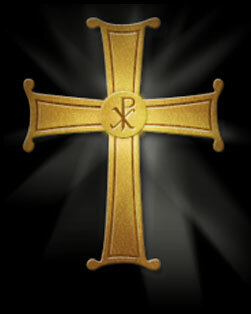 There is no division, nor any diversity in the Faith of the united Christian Orthodox Body. It is because down through the 2000 years of existence, it has been most faithful and true because of the defined interpretations of the Holy Scriptures, which of course are now irrefutable Dogmas, and part of what we label as Divine, or Holy Tradition. As a matter of fact, it is the Divine Tradition, which testifies as to the validity of the Holy Scriptures. We know, that the Holy Apostles for 30 years after the Lord's Ascension into Heaven taught verbally, and much later, they recorded the Lord's Teachings to give us the New Testament. The verbal teachings, later recorded, became part of the Divine Tradition. In the Church there is no room for personal interpretation, because all has been defined, by the successors of the Apostles, who are known as Apostolic Fathers and their successors, who are known as the Church Fathers. You can't become more authoritative than that! Today, the many hundreds of Christian bodies are divided, because individuals, claiming the gift of the Holy Spirit preach their personal interpretations. Compare this with the hearers of the Lord and their successors. When the Leaders of the Reformation, in their strife against the alleged Papal Authority early in the 16th Century, went to the extremes, by refuting the Divine Tradition, and teaching that the Bible was the only source of Faith, which they personally interpreted. Unfortunately, there was and is, personal interpretation and as a result we witness the competition, with the horrible fragmentation of Protestantism, into hundreds of totally independent Bodies. The Christian Dogmas had not been interpreted in the pre­Council years and as was natural, certain Theologians interpreted as they understood, and preached their understanding of items in the Scriptures. Their teachings of course proved to be heretical, and were critical for the unity of the Christian Church. As a result, the Ecumenical Councils, were convened, and the Faith was properly defined, thus securing the unity of the Church. The Fathers of the 4th Ecumenical Council, whom we commemorate today, convened to define the two Natures of our Lord; the Human and the Divine; co-existing in one Body, but with two Natures and wills, in perfect harmony and conformity. This Council condemned the interpretation of Bishop Eftychios, who taught, that Christ was of only one Nature, because he believed, that Christ's human nature was totally absorbed by the Divine Nature. Eftychios was condemned, because he refused to recant from his heretical belief, even though, the Council unanimously had decreed, that Christ was perfect God and perfect Man; two Natures in One, as defined in the Holy Scriptures and Divine Tradition. His teaching remained rooted in the area of Armenia. And now, for more than 1400 years, the Armenian and the Coptic Orthodox Church of northern Africa, while being Apostolic Churches, do haveroots in common, which stem back from the 5th Century. That's why the "Monophysites" a Greek word meaning of "One Nature." Thus, the two Bodies were separated from the Universal Church some 1400 years ago, but in recent decades, there have been ongoing dialogues, in the hope, that, they will soon become once again, a part of the Eastern Orthodox Christian Church. After this brief account of the 4th Ecumenical Council, I would also like to take few moments, to offer some thoughts, on a couple of verses from St. Paul's Epistle to his disciple Titus, which we heard from today's Epistle reading. St. Paul instructs his disciple Titus saying: "This is a trustworthy statement; and concerning these things, I want you to speak with confidence, so that those, who have believed in God, may be careful to engage in good deeds. These things are good and profitable for all people"
While St. Paul emphasizes to Titus: "This is a trustworthy statement," in his 1st Epistle to his other Disciple, Timothy, Chapter 1, verse 15, St. Paul says the same, but qualifies it as follows: "The teaching is true, and worthy of all acceptance, that Christ Jesus came into the world to save sinners, of whom I am the first." You will recall that these very words are included in the prayer we read before Holy Communion every Sunday. St. Paul always makes it a point, to base his teachings on the faith in Jesus Christ, crucified, and risen from the dead for our salvation. He gives a marvelous definition of faith, in the 1St verse of Hebrews, chapter 11, with which we should become very familiar. He says: "Faith is the substance of things hoped for, and the evidence of things unseen!" Yes, it may seem odd, to perhaps believe in things hoped for, and to be able to understand, and accept the things we do not see! It is also true, that some people seek proof, when it comes to believing in God, --- somewhat like the doubting St. Thomas did, regarding the Risen Lord. How amazing it is, that they seek proof of God's existence, when it is impossible for anyone, to fully comprehend the many mysteries of this world, which fall in the realm of our five senses, and for which mysteries, they have no explanation! But, for the believers, just one serious look at the beauty and the harmony in nature, and what we know of the universe, is surely proof enough, that God is the Creator of all things, visible and invisible. But, as history and experience teaches us, the doubters will always be a part of the world of questioning. When it comes to Theology, St. Paul, who was highly educated, and miraculously came to the Lord, after having persecuted the first Christians vehemently, states it so adequately in 1St Corinthians, Chapter 2, verse 4. He says: "My preaching was not with convincing proofs of man's wisdom, but in demonstration of the Spirit and of power, so that your faith should not be based on the wisdom of men, but on the power of God!" So says Paul, and his words are verified by witnessing the power of God, down through the ages, through many miracles, which of themselves give testimony of God's presence, and power. The Lord's Grace is freely offered to everyone, through the preaching, and the acceptance of His Commandments. But, this preaching will never root, if we have ears, which are deafened by the wiles of this world, and if we have eyes, which are blinded by the glitter, and the lures of this world. The result of this spiritual deafness and blindness is qualified by St. Paul, when he states in Romans 6:23, that "the wages of sin is death!" One cannot but agree, that persistence in sin brings spiritual death, which not only excludes a person from Eternal Life, but oftentimes physical death does follow the spiritual death. Man by nature is instinctively curious. He is forever seeking, and I would say, that in this seeking, he or she gropes many times in the dark, to find answers to the questions and complexities in life, when all they have to do, is to delve into, and digest, as well as fashion their life in conformity, with the eternal teachings of the Lord. To be sure, the Lord is always present, and eager to hand us His roadmap of true happiness, which ultimately fulfills us, and keeps us steady on the road of our salvation.